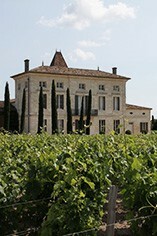 Château La Fleur-Pétrus is a Pomerol estate that has been owned by Jean Pierre Moueix (who also owns Pétrus and Trotanoy) since 1952. Four years after it was purchased, Bordeaux was hit by its worst frosts in living memory and most of the vineyards at Lafleur-Pétrus were destroyed and had to be replanted. La Fleur-Pétrus's 9.08 hectare vineyard is on a plateau east of Pomerol sandwiched between Lafleur and Pétrus. The soils are rich in gravel and the vineyard is planted with 90% Merlot and 10% Cabernet Franc. La Fleur-Pétrus's grapes are hand-harvested and then fermented in temperature-controlled concrete vats. The wine is then aged in small oak barriques (50% new) for 18 months. 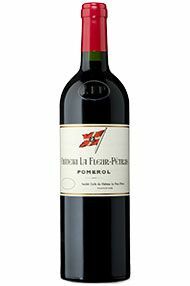 Lafleur-Pétrus produce elegant, smooth and refined Pomerols that, whilst lacking the concentration and intensity found in Pétrus, are still amongst the finest wines of the region. Part of the Mouiex stable, the standard bearers for Pomerol, Ch. La Fleur-Pétrus is one of the finest properties in the area and is a standout for 2012. Rich Merlot fruit jumps out of the glass, with redcurrants and plums to the fore. There is weight and structure on the palate too, the tannins being big yet perfectly ripe with a racy acidity adding to a long finish. This is a very fine La Fleur-Pétrus from a very fine Pomerol vintage.